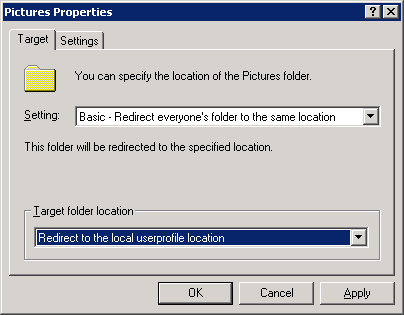 At work, we are in the process of moving all our users’ «My Documents» folder to a new file server, and we also thought that we’d do some changes to the Folder Redirection GPO. Several applications likes to save to the dedicated media folders by default, which can eat up a lot of space if you set the media folders (My Pictures, My Music and My Vidoes) to simply follow the «My Documents» folder in your GPO (which it does by default). This means that you can easily end up backing up your users’ private iTunes libraries, family photos and what ever they might have stored in the «My Videos» folder. So before enabling the new GPO where these media folders were redirected to each users’ local profile, I wanted to move these files out of the way. It’s fairly simple, enter the current location of the root Documents-folder (source), the where you would like to have the media folders and their content copied or moved (destination). 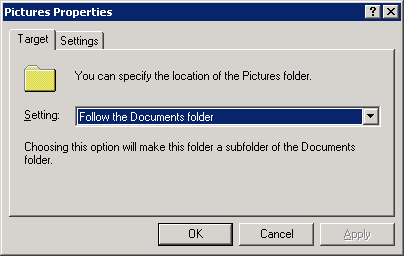 Since the «My Documents» folder is often named based on local region, you will also be prompted for the name used in your environment. Robocopy will now take care of the rest, and leave you logs for each folder moved for each user. It’s currently set up to move the regional names of the media folders as well, but this can be easily edited in the batch file to suit your own needs. If everything is in English and/or Norwegian, you are good to go. The file will check to see if the folders exist before doing anything. High fives to Morten for helping out! Download the batch file here (.zip). SET MODEDESC=/C speficied, Supermove2000 will copy files. SET MODEDESC=/M specified, Supermove2000 will move files. SET MODEDESC=No switch specified, will only create logs. SET MODEDESC2=only generate Robocopy logs. ECHO for the job logs.